Diego Maradona has been rebuked by FIFA on his comments on the Colombia-England referee. Maradona said sorry after being rebuked by soccer's governing body following comments he made after England's hard-fought penalty shootout win in Tuesday's game. 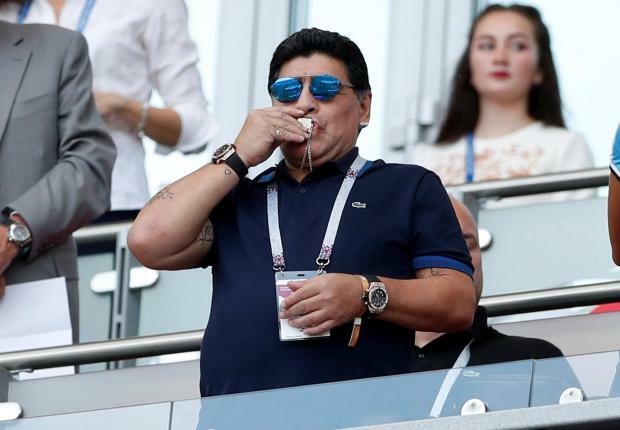 "Overcome by emotion in cheering for Colombia the other day I said a couple of things and I admit, some of them were unacceptable," Maradona wrote on his Instagram account https://www.instagram.com/p/Bk2WM-pByPF/?taken-by=maradona. "My apologies to FIFA and its president (Gianni Infantino); although I sometimes disagree with some refereeing decisions I have the utmost respect for the work - which isn't easy - that the referees do." FIFA said it was "doing everything within its power to ensure principles of fair play, integrity and respect are at the forefront of this World Cup and how the organisation is now run." In that context, FIFA said it was "extremely sorry to read such declarations from a player who has written the history of our game." Maradona had said England's win was a "monumental robbery" and that Geiger "shouldn't be given a match of this magnitude." He added: "Geiger, an American, what a coincidence."